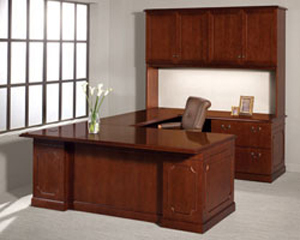 Corner desks are needed in almost any business’ office setup in Tampa, FL, and when businesses in the Bay area need this type of desk for their office that is well-made and attractive- they turn to the trusted professionals at ROF. Since we started in 1991, we have helped a countless number of businesses furnish their offices with premium-quality office furniture. From desks to computer workstations and conference room furniture and seating of all types – we can truly provide it all. What’s more, we sell new, used, and refurbished/remanufactured furniture from all of the leading names in the industry, including Herman Miller, HON, Allsteel, Knoll, Indiana Furniture, and more. With your furniture crafted by these top-quality manufacturers, you can rest assured your desks will look attractive and remain functional even after years of heavy daily use. And, with our preowned furniture you can save up to 80 percent off the original price. For more information on the corner desks we offer and to see what we currently have in stock, contact ROF today or feel free to stop by our 140,000-square-foot warehouse that houses all of our inventory located right in downtown Tampa, FL.